Just a quick sample of a kids/family performance! All the kids will witness hilarious antics of my special pet, Richard the Fox. They’ll also participate in many of the tricks and even learn a trick themselves! 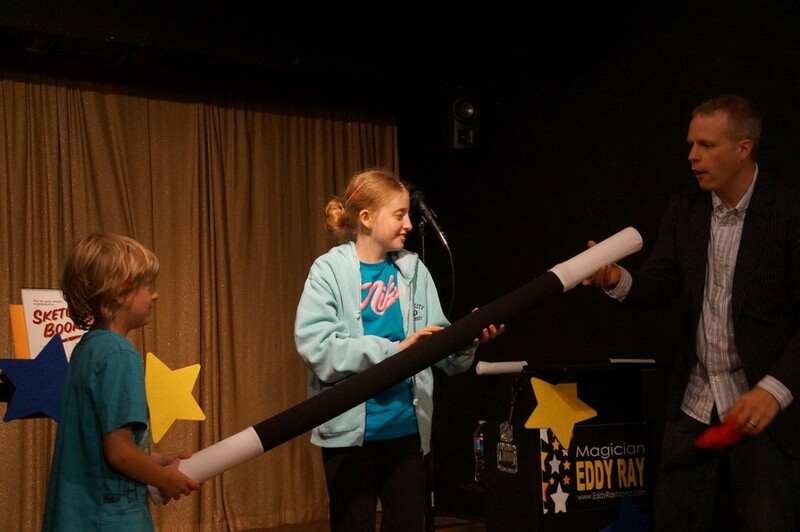 Every magic show is packed full of comedy, audience interaction, amazing magic, and pure FUN! Our magic shows for kids usually last 30, 45, or 60 minutes depending on your needs. Small groups or large, our shows will be visual, interactive, and FUN! Contact Eddy Ray for a free quote and information, don’t delay! Fill out the form below for a free quote on your event or party. Provide as many details as possible including location, type of show desired, and number attending. Pennsylvania Birthday Party Magician CLICK NOW!